Babies are tiny little Houdinis. Before they're big enough to crawl they can cross the room in a blink. Add their signature stealth-waddle and they'll be up the stairs, in the bathroom, splashing in the toilet before you even know they're gone. 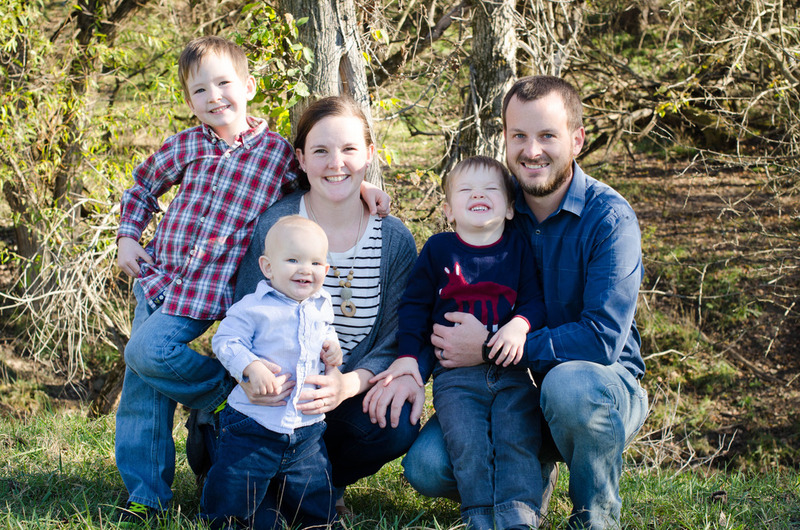 One of the trickiest things to do as a parent is find ways to contain the children (and their respective havoc) to keep them safe and save your sanity. 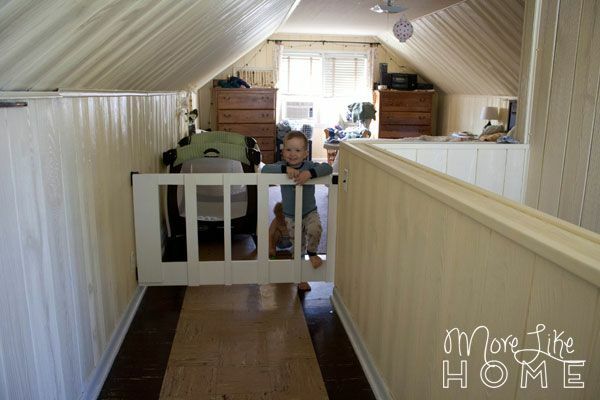 One of the baby-problem-areas in our home is our master suite. It's upstairs and the staircase is wide open. I can't do anything up there (make the bed, put laundry away, clean the bathroom...) without the brothers making a break for the stairs. The other problem is that our babies sleep in our room for quite a while - until they are at least mostly sleeping through the night. Baby Brother is still there at 14 months old, but he is definitely outgrowing the pack-n-play that he's been sleeping in. 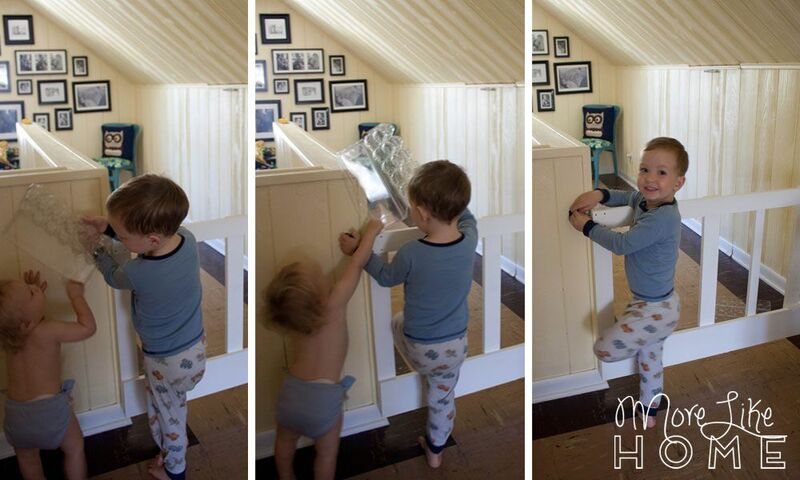 Our best solution for this is to put the crib mattress on the floor, but we don't want him sneaking toward the stairs when we are asleep. 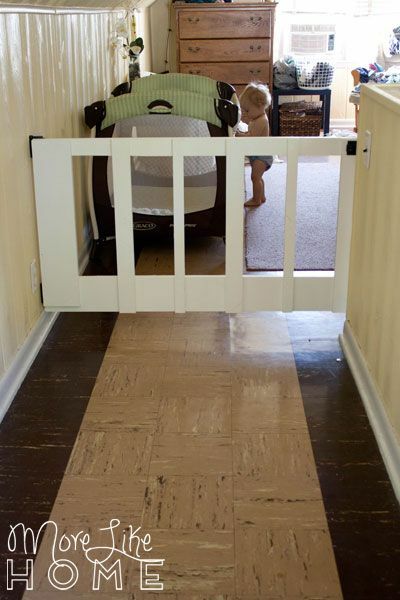 The obvious solution would be a baby gate, but all the openings upstairs are just a little too wide for a standard gate, and the larger sizes are pretty pricey. So we made our own with scraps of wood from the garage! 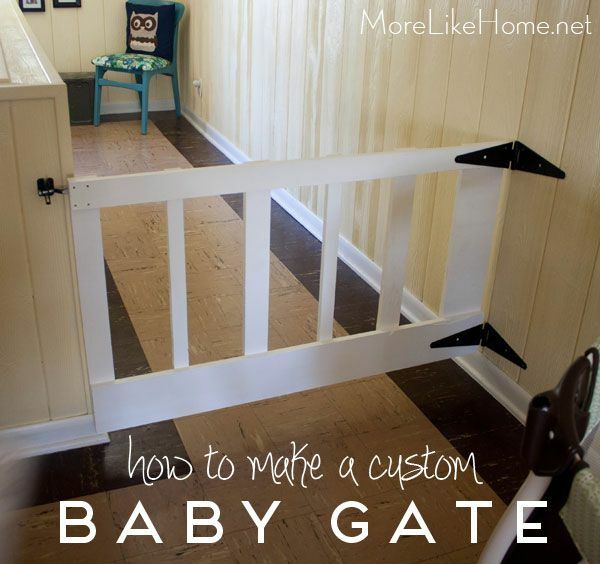 The great thing about a DIY gate is that you can make it just the size you need for any space. We made it perfectly fit our hallway upstairs. It's also really nice having a swinging gate because we don't have to fuss with putting a gate up and taking it down each time. Plus it's pretty affordable to make! We spend about $15 on hardware and all the wood was leftover pieces we already had (if you need to buy new wood you're probably looking at $10-15, depending on what board sizes you get). So let's get started! I don't have a lot of pictures to go with the directions, but it really is an easy build. I know you can do it! 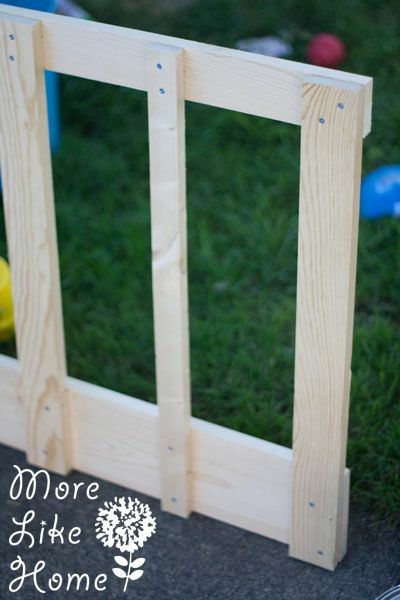 The first thing you need to do is decide what size to make your gate. 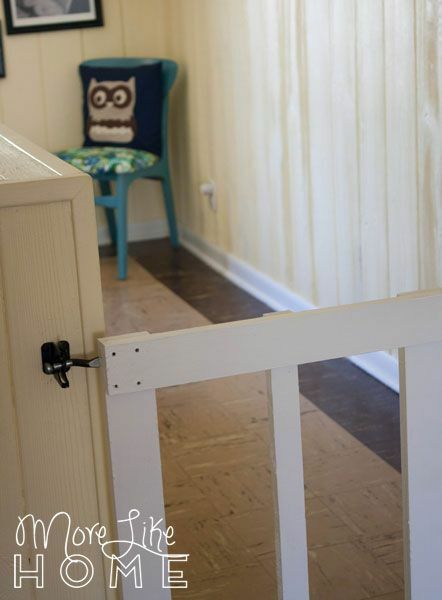 We made ours long enough to catch on the wall (you can see in the pic below) if you want to you can make it short enough to fit inside the space and just have the latch catch on the wall (I had to put the latch on backwards to fit the way I did it, but I like that it hits the wall so the boys can't put too much stress on the latch). It was something like 39" wide for my space (I don't remember exactly, so let's just go with 39 for now). The height is pretty flexible. I wanted ours to be short enough I could step over it, with about 4" of clearance underneath (for my short self that's about 26" tall for a total height of 30"). 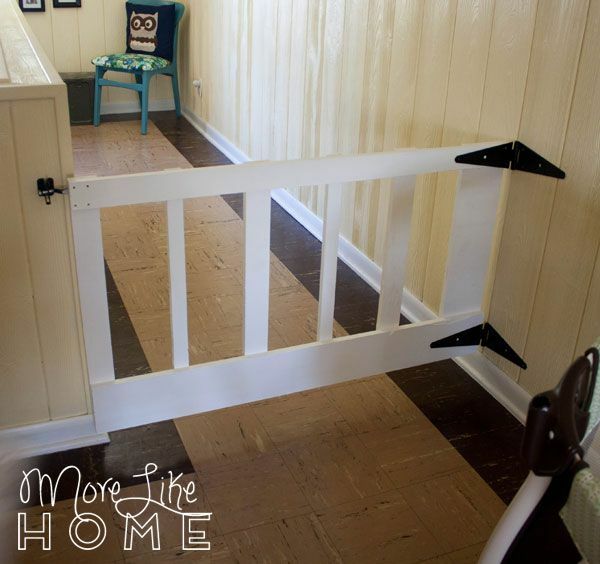 So we want a gate that is 34" wide x 26" tall. Let's get to it! I used a mix of scraps from my garage. 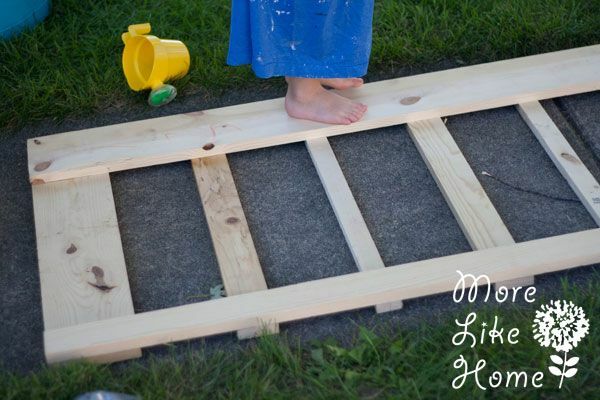 I started with a top and bottom board that I cut 39" long (the top is a 1x3 and I believe the bottom is a 1x6, but you can use just about anything. I wouldn't go smaller than 1x3 for these, though.). Then I cut my vertical boards 26" long (I used a 1x6 on one end, then alternated 1x2s and 1x3s for the rest of the slats. You can use whatever you have for this). Pretty simple so far, right? Then I laid out the slats on top of the top and bottom pieces where I wanted them to go(ish). I spaced them about 6" apart (but would put them more like 4-5" if I did it again). I attached the end pieces first with just one screw in each corner and didn't put them all the way in so I could shift things around a little before I committed. This is important because you want to make sure your gate is square so it with hang level and swing straight! To check for square just measure from corner to corner (top left to bottom right, and top right to bottom left) and make sure the two measurements are equal. If they are different, shift the corners a little until they are even. Now you can add a couple more screws in each corner. 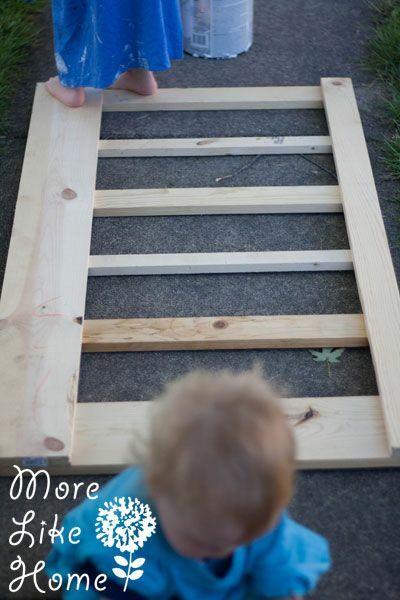 Once you have a nice square frame, you can go through and attach all the slats in between. FYI, the minute your gate is built it transforms into a bridge. And little boys cannot. stay. off. They just can't. Note: Big Brother is hugenormous. Like a real boy instead of a toddler. And Baby Brother is a little fluffy nugget. 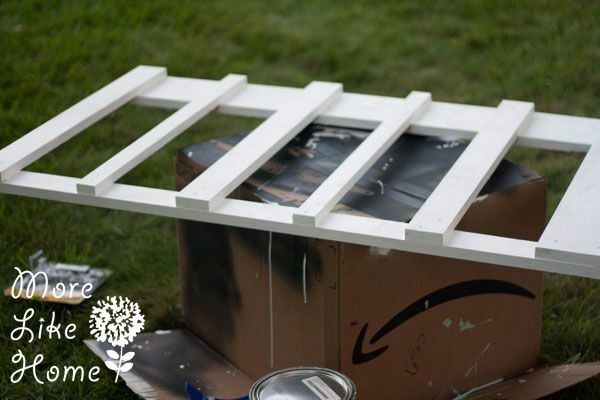 Now that your gate is done you can paint or stain it however you like. I used leftover white paint from the kitchen cabinets to do two coats on the front and back. Watch out for drips!! One it's dry you can mount it. We used some big hinges from Lowe's (they came silver and I spray painted them black to match the latch). 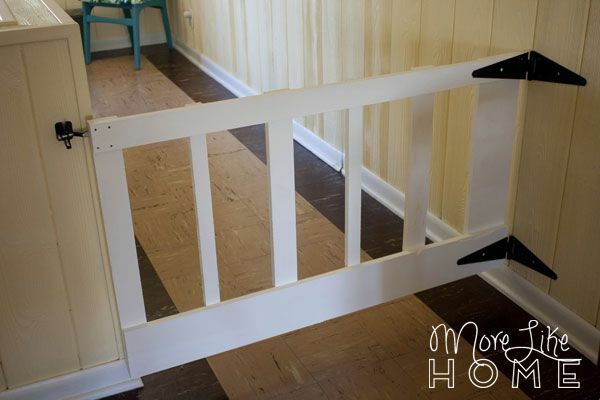 We chose something heavy duty because you know little boys will be climbing on the gate. We're giving it the best chance we can. 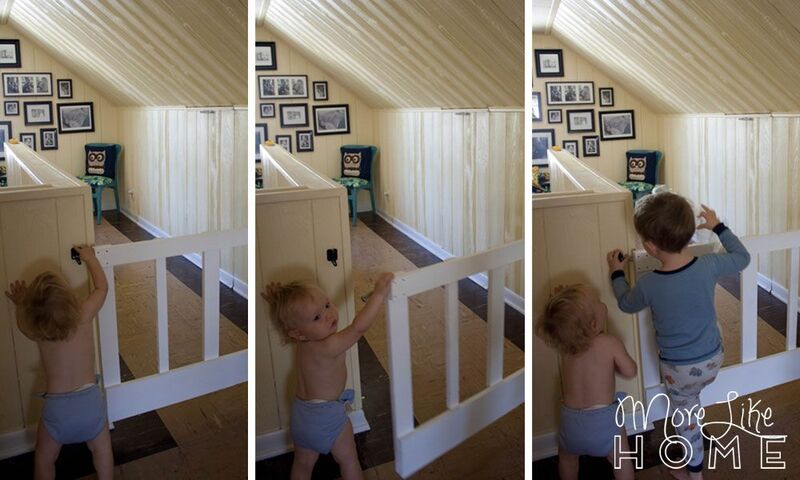 I started by attaching the hinges to the gate, then attaching the gate to the wall. The last step is attaching the latch! 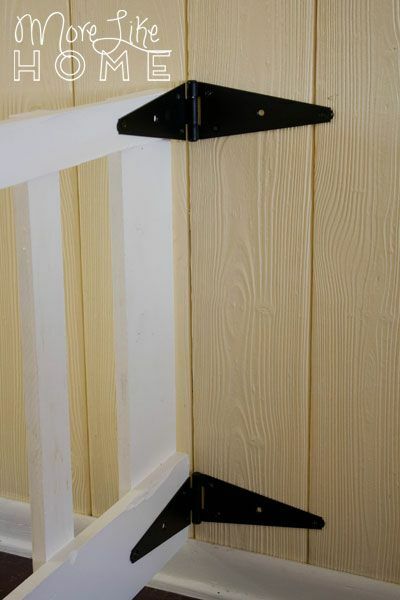 I originally attached it on the face in the pic below (you can still see the holes) but since the gate hits the wall that latch piece couldn't reach the other one! So I just flipped it around to the back. It works fine, it's just not exactly how it's supposed to work so consider yourself warned! And you're done! Poor babies, don't even know what's coming. Remember how I mentioned I would make the slats closer together next time? That's because I'm pretty sure Baby Brother could fit through the way I have it now. The only reason he stays in is because he doesn't know he can get out. So... oops. "Mom! He opened it! I'll get him!" "Here, have this empty egg carton and my condolences." You can keep your stinkin' egg carton, traitor! But we solved that problem with a carabiner clipped through the latch. Now neither one of them can open it. Foiled again! 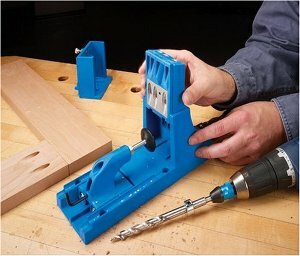 Please show a close-up photo of the latch with the clip in it. And thank you for making this look so doable.